Deeb Elder Law serves families throughout the Tampa Bay area, specializing in the legal issues affecting seniors, the disabled, and their families. Because we know the real life questions that arise as a person ages, and how one decision impacts other choices, our team is ready to assist you with skill and compassion. Advance directives allow you to specify how you want medical decisions made in the event you are unable to make these decisions yourself. Putting advance directives into writing while you are healthy is a key part of smart Estate Planning. Asset Preservation is one of our main goals as Elder Law attorneys. Legally shield your money and property from creditors, and maintain the quality of life you deserve. 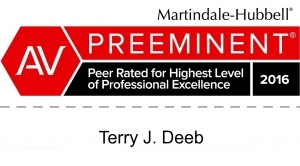 Deeb Elder Law excels at customizing versatile estate plans that will protect you and your loved ones. Whatever the size of your estate, our attorneys will help you plan for asset protection, asset transfer, long term care planning, special needs and more. In the event a family member becomes unable to manage his or her personal or financial affairs, we help you establish a guardianship or guardian advocacy for your incapacitated loved one, minor child or developmentally disabled family member. These essential documents allow you to authorize another person to be your representative in healthcare decisions, and designate specific instructions concerning your medical treatment. As part of comprehensive planning, the living will is critical to ensuring that your medical care wishes are met regarding end-of-life treatment. Deeb Elder Law develops integrated solutions for long term care specific to your needs, which may involve Medicaid Planning and other government benefits, private long term care insurance or personal funds. Our law firm helps clients position themselves to become eligible for Medicaid assistance for nursing home care, assisted living and other benefits. We assist with the Medicaid application itself and oversee the often complex approval process. Medicare is a federal health insurance program for people age 65 and older and for certain disabled individuals. Unlike Medicaid, Medicare is not based on financial need. Often confusing and certainly complex, our attorneys can help you understand and make the best use of these government programs. Power of Attorney documents may be durable which means they survive the possibility of an individual’s future incapacity. They are powerful documents that can assure certain financial, business and health care decisions will be handled in the predetermined manner of your choosing in the event of absence, incapacity or disability. Excellent service. During a difficult time, it was very important to understand all my legal options. The service was personalized and compassionate.